People usually have these huge white spaces for sponsored ads that goes as "sidebar" backgrounds. other reasons are for compatibiity with the content they have. (Thumbnails, pictures, etc...), so it would all be aligned. Hi, I do realize that this is likely a skin issue, thus outside of the scope of the support, but I hope you can give me some guidelines where to look. The buttons Add Video and My videos are not active, you can't click on them, just the images related to them are loaded and I can't figure out why. The "view more" link on top of them is working. I hope you can at least give me some more specific information that I need to pass to the author of the skin. Is there a way to disable the Add As Video feature? Edited June 6, 2013 by Chris M.
Wow looks nice, do you mind if I implement some of your design in 3.0.1? Disabling the post as video hook will disable that button. I won't be able to tell until I get a look at the code. 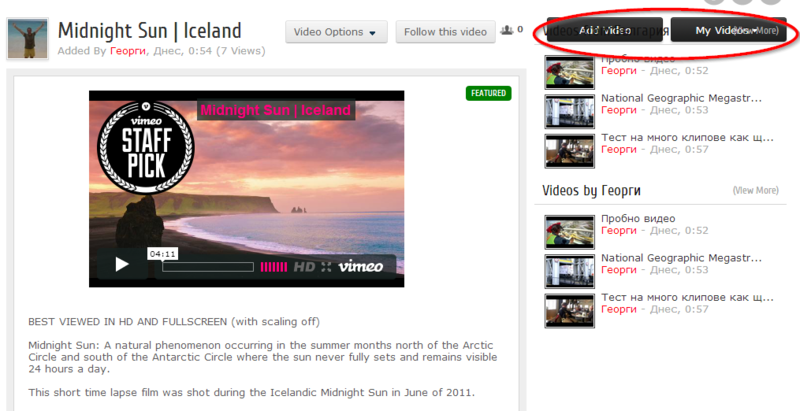 If anything some of the improvements like oembed support should benefit the Videos System as well. Go ahead man, I just want to help you out as much as possible, if you need help with the design just tell me. -__-: my computer is just slowly depleting in quality, so i might be a bit slow. Edited June 7, 2013 by Chris M.
I actually have a design concept that i want to implement so if you want some info on that ill be glad to assist. Sure, open to any ideas you have. I'm no designer but I do think the design could use improvements. It probably won't be anything major at this point, I want to see what IPB 4 brings. I believe IPS have mentioned that the design between the forums and their apps are going to be more tightly integrated. I'd want to do the same with any of my apps. Thats what im thinking, i want to wait for IPS to have their design implementation out so that i can see what possible methods i can use to improve the Videos system's look. So we can start then. Probably some time next week. It will be nice to add "random sorting" option for disaplying videos on board index page. There is a new random option in the "Global hook sort direction" setting. This does utilize more server resources, so it's not enabled by default. Sorry I missed that. I like it. Manual patch can be found here.